BEVERLY HILLS, Calif. – Returning Academy Awards host Jimmy Kimmel has been poking fun at last year’s best picture mix up in promotional spots for this year’s Oscars, but it’s not a laughing matter for some. “La La Land” lyricist Justin Paul says the envelope gaffe was a bit of a soft spot for some of his friends and colleagues involved in the film. Paul says that he understands why it’s still being talked about and to not mention it at all would be awkward. “We have some wonderful, brilliant friends and colleagues who you know, it was a little bit of a soft spot, a sore spot in that moment, so we can totally understand it but I don’t know if we’re the ones laughing along the most,” Paul said Monday before the Oscar Nominees Luncheon. “La La Land” was mistakenly announced as the best picture winner at last year’s Oscars before the error was caught and “Moonlight” was named the winner of the evening’s top prize. 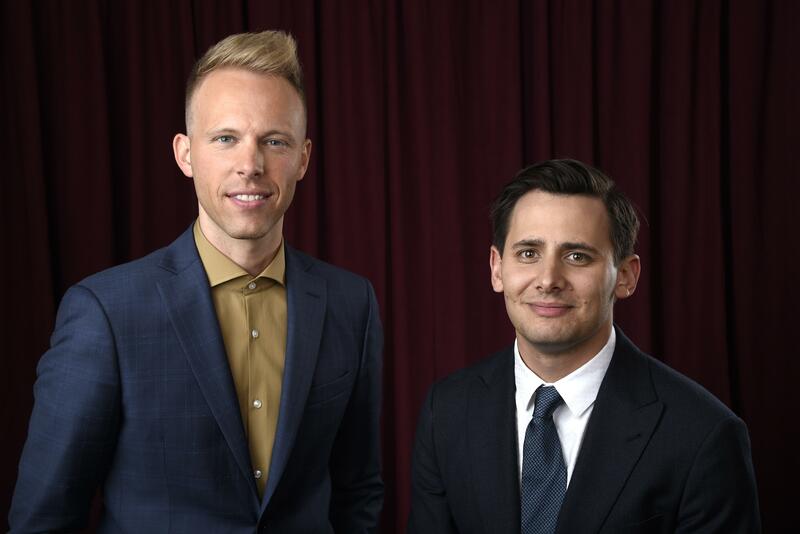 Paul and Benj Pasek are nominated year for “The Greatest Showman” song “This is Me.” They said Monday at the Oscars Nominees Luncheon that they’re able to enjoy awards season a little more this time and are five percent less terrified at every event. Published: Feb. 5, 2018, 3:49 p.m.